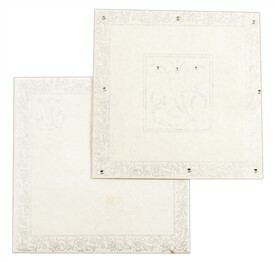 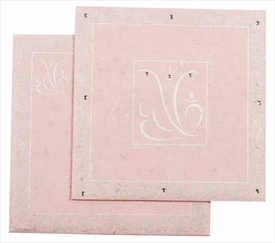 D-5030, White Color, Handmade Paper, Hindu Cards. The Front of card has Ganesh in center with paisley border all around printed in Silver color and decorated with white crystals. Envelope too follows the same design and interleaf is plain. 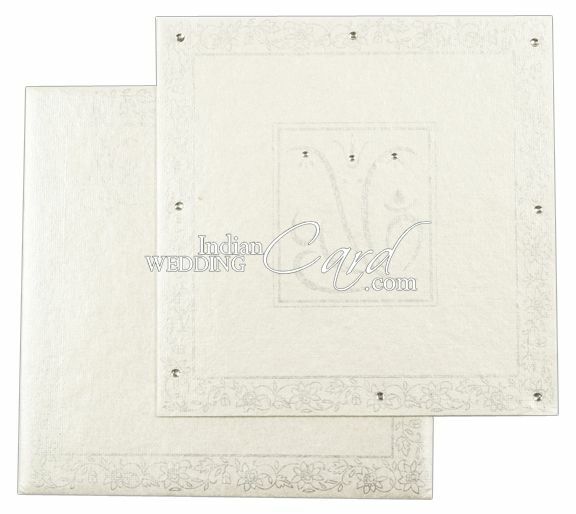 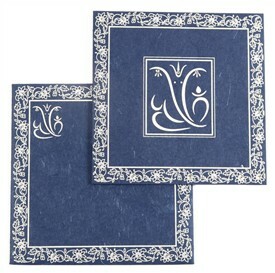 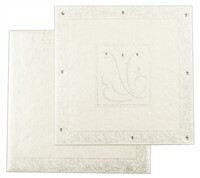 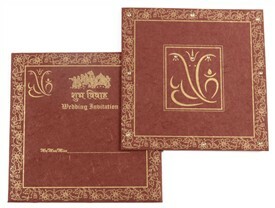 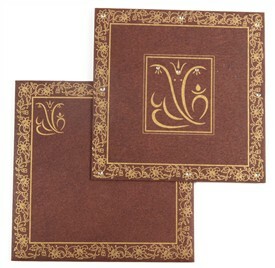 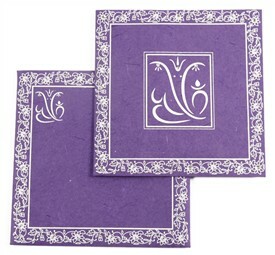 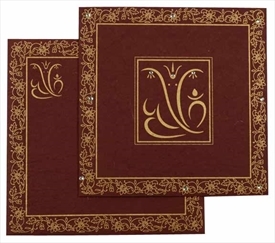 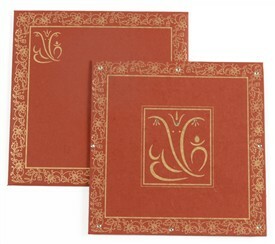 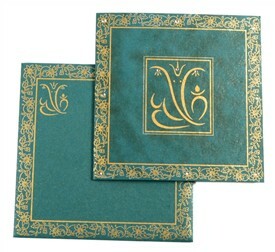 White color shimmery finish handmade paper (240gsm) for card, Interleaf and mailing envelope.